VaporFi is one of those companies you'll either love or hate, kind of like Apple. I honestly think they want to be like Apple, but they didn't pioneer the modern day vaporizer so that's a stretch. Their products are pretty good and the prices are a little above average, giving their brand a premium feel. When you walk into their store, it has a modern and sleek vibe. Much different than a lot of the vape shops I've been to that remind me of nicer head shops. VaporFi is a little different, and their products are unique. They don't sell the same over-hyped products as everyone else. They produce their own line of e-liquids and mods which gives them full control of the process. If you have a problem with any of their devices, you only have to deal with them which is a plus. When you buy a device from XYZ Vape Store and have to use the manufacturer's warranty it can be a pain in the rear. Idk, I think I'm just rambling right now so let's talk about about the good and the bad with VaporFi. In my opinion, the worst thing about VaporFi is the design or their advanced devices. To me, they're plain and ugly. This is just my personal preference, so take it for what it's worth. I don't like them because they's just basic rectangles without any comfortable hand forming curves. I'm not a big fan of the basic old-school rectangular shaped mods. Give me something that forms to a curve in my hand like the RX GEN3 or something. I'm also not a big fan of the screens on their box mods. They're just a little dated in my opinion. There was once a time when I felt that VaporFi had some of the best mods on the market, but now I feel they've fallen a little behind in the advanced category. 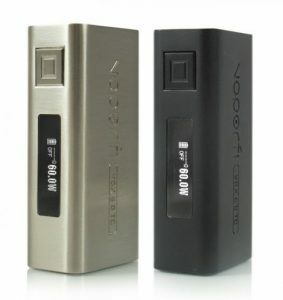 Their mods are still good performing devices, great for a beginner. But vaping is not only about performance, it's also about experience. At the VaporFi store I always have a good customer service experience, and the devices work well, but using them can feel mundane and boring. With more up to date mods, you open the box and get awestruck by the beauty of the mod. That infatuation is missing with VaporFi box mods, and sub ohm tanks for that matter. The only other thing I have to complain about with VaporFi is their product descriptions. They're horribly vague. They have a tendency to leave out information that I care about. Is the device 510 threaded? What's the wattage range? Wattage range for the coil head? What material is the drip tip made out of? For this kind of information, you'll have to look at the PDF manual for certain devices. 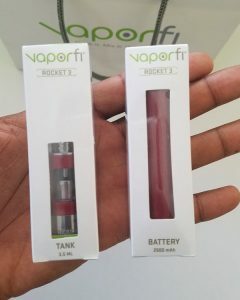 The starter kits don't have the info listed, I'm assuming, because they only want you using the kit together, not putting the tank on another mod. And maybe new vapers don't care about all that info. I would still like to have seen the wattages for the Rocket 3 in the product description. VaporFi is the only company where I've had to look at the user manual to make a purchasing decision. Most other companies list all the info you need to make your decision under the product description. 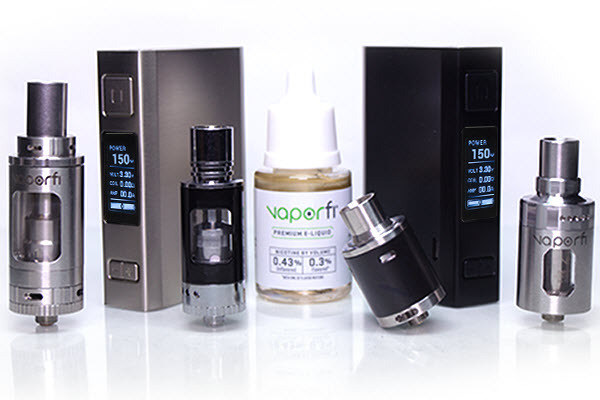 Even though VaporFi isn't my number one choice for advanced devices, there is an area where I think they're one of the best in the business. When it comes to beginner devices, VaporFi is one of my favorite companies. They've stayed true to their brand and have had a steady focus on catering to helping people make the switch. They don't have any 300W mods or any 12-coil over-hyped sub ohm tanks. They have solid devices that help people make the switch. To me, it shows their discipline and focus which can also be seen in the quality of their devices. The Rocket 3 is one of the best starter pens for beginners. It allows new vapers to enjoy the portability and ease of using a rechargeable starter pen, but also reap the performance benefits of variable wattage, temperature control, and a sub ohm tank. It the best starter kit for beginners in my humble opinion. Unlike VaporFi's box mods, their starter pens actually have a nice look and feel. My Rocket 3 is candy apple red with chrome accents. It looks gorgeous The only thing I don't like about it is how the drip tip can hold onto a lot of lip gunk. If you use chapstick or any kind of lip moisturizer, it can be a magnet for that kind of stuff. I've never worn lipstick, so I can't quite comment there. If you have used the Rocket 3 with lipstick, I'd love to hear about your experience with the drip tip. The Pro 3 is only $10 cheaper than the Rocket 3 but lacks the power and vapor production of the Rocket 3. It's not worth it in my opinion, but it's still a decent beginner pen that's easy to use. If you go with the Pro 3, the vapor won't be as flavorful. It doesn't have adjustable airflow and the coil head is 2.0ohms, meaning you'll get a tighter draw and a lot less vapor production. This device might be ideal for someone who doesn't want any options or wants the easiest to use device they can find. 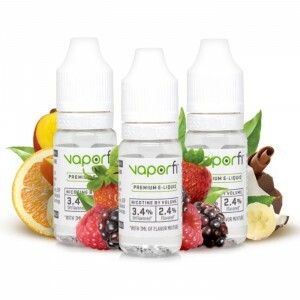 What VaporFi is best known for is their gargantuan line of flavorful e-liquids. They allow you to create your own custom blend, giving you 30,000 different combination options. My favorite combination so far is equal parts pear, mango, and pineapple. Don't knock it 'til you try it. It's delicious. If you don't think you have what it takes to be your own vapetender, then you should try one of their pre-mixed flavors. Their Grand Reserve line consists of their deluxe, often award-winning flavors. That's a good place to start if you can't quite figure out what you want. I usually buy based on which flavors have the best reviews in my favorite flavor categories. For instance, if you're a dessert lover, then buying a couple dessert flavors with the highest reviews is a good way to be adventurous. 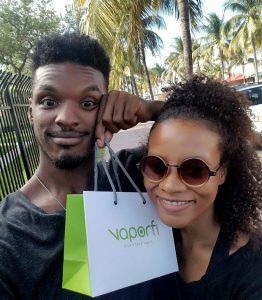 As long as you don't pick or mix anything too outlandish, you can't go wrong with VaporFi's vape juice. It's made in an FDA certified lab with food-grade ingredients. They're one of the best in the vape juice business. If you're considering purchasing some e-liquid from VaporFi, be sure to use this coupon to get the most out of your purchase. I like VaporFi as a company because they've stayed true to what vaping is all about, helping people make the switch. They have an amazing e-liquid line that will make your mouth water. They offer one of the most feature-packed starter pens on the market, perfect for getting started on the right foot. If you're looking for an advanced device, there are better options. But if you're looking for e liquid or a beginner device, this is a company you should seriously consider. Click here to visit VaporFi.